How are unbundling, marketisation and digital technology changing Higher Education? Do you want to find out more about the unbundling project and its findings? As part of the dissemination of our findings from this project the team from the University of Cape Town and the University of Leeds have developed a MOOC, a free online course on the FutureLearn platform. The two-week course will start on March 11th 2019. To find out more about this MOOC watch this introductory video. Market forces and technology are changing the landscape of higher education. This course explores one of the key changes in the context of global inequality: the unbundling of higher education. You will learn about the concept of ‘unbundling’ and how the disaggregation of university degrees into component parts is affected by digital technology. You will explore the marketisation of higher education and investigate the implications of unbundling for not only the sector, but different stakeholder groups. This course will be useful to a range of stakeholders and decision makers within higher education. You might be a university manager, a strategist or head of a teaching and learning unit. The course is also ideal for policy makers and analysts within governments, as the research has implications for education policy. This seminar took place on the 19th of November 2018 and was organised by the Centre for Digital Education. In it one of the postdoctoral researchers from the Unbundled University project, Mariya Ivancheva, who was in charge of designing, coordinating, and conducting (together with Rebecca Swartz, Taryn Coop, and Rada Jancic-Mogliacci) of the project’s fieldwork presented her reflections on the fieldwork. The project explored the impact of the disaggregation of higher education provision into smaller units (short courses, MOOCs, and online postgraduate degrees) and partnering with private Online Program Management companies (OPMs) to offer online education alternatives. Despite their different locations in the global field of higher education and larger geopolitical power blocks, the UK and South Africa are two of the key players in this emergent market. Mariya’s seminar provided insights from interviews and focus groups with higher education leaders, senior managers of OPMs and academics in both countries. It discussed some key concerns driving these four groups and their roles and motivations in the process of decision-making and implementation of public private partnerships around unbundled higher education. On this basis Dr Ivancheva asked some bigger questions about the economic, social, and political implications of this process and its impact on teaching and learning in higher education in both contexts. Unbundling is the process of disaggregating educational provision into its component parts likely for delivery by multiple stakeholders, often using digital approaches and which can result in rebundling. An example of unbundled educational provision could be a degree programme offered as individual standalone modules available for credit via an online platform, to be studied at the learners’ pace, in any order, on a pay-per-module model, with academic content, tutoring and support being offered by the awarding university, other universities and a private company. When reflecting on the presentations and conversations through the lens of the Unbundled University project, it was evident that the language of the ‘market’ is prevalent and normalised in these spaces. The conversation was around how online learning in Higher Education is a global market with institutions and organisations having something to offer and to gain from this expanding international terrain. The forum was framed to discuss to what extent and in what ways online learning was globally established and what opportunities there were for its expansion. An interesting (and perhaps surprising) insight was that while online learning is potentially a global export, in the sense that anyone from any geographical location can take an online course in another continent, analysis of student take-up suggests that many students choose to take an online programme from an institution in their own country or in geographical proximity. This suggests that online students are attuned to local or regional opportunities, even though they may never physically visit the campus; while other factors such as national or regional recognition of particular qualifications may play a part in students’ choices. In this post I focus specifically on describing models of online learning provision of higher education that were discussed at the forum, as this relates to how students experience online learning, the impact on the students of these various models and how these models are being conceived and operationalised, including resourcing and working with private and alternative providers. While online learning seems new and has become more prominent in part due to increasing exposure around MOOCs, it’s also worth reiterating that online learning did not suddenly start with MOOCs in 2012 but has a longer history and there is much to learn from earlier adopters. In this scenario, the default pedagogical approach is one of an asynchronous virtual classroom environment with peer interaction mainly through discussion forums. In this form the tutor/teacher is mainly a facilitator with content delivery through readings, audio and video. The students do not have to be the same place at the same time to learn together with synchronous live events being supplementary, additionally beneficial or special occasions. This mode was and continues to be a common approach to offering online learning, and has been one that early adopters or those who have moved from a distance learning mode to an online distance learning mode have offered. It caters for students’ needs for flexibility in terms of time through the asynchronous mode as well as being mindful of connectivity and bandwidth considerations. A number of participants posited that this sort of approach – while convenient and simple to use – was often not engaging. Attempts to transfer face-to-face pedagogies online rather than designing for online affordances was pedagogically unimaginative, while practical issues such as bandwidth and connectivity constraints make using rich media and real-time interaction difficult. Drop-out rates for students in distance and online modes tend to be higher with the lack of social or teacher presence being key contributing factors. Historically, this model had come out of the distance education model, with traditionally distance universities moving to online spaces. In the growing international higher education marketplace, these types of offerings might be less appealing to international undergraduate students who have a wider range of offerings to choose from, including different types of credentials than the formal degree (such as specialisations offered by MOOC providers). There were some lively discussions around the asynchronous-oriented model of online learning and how it is evolving. Institutions who are using a form of this model shared experiences that while this type of online learning pedagogy had initially started off with text-based content and assessments, it has evolved as digital tools offer richer opportunities for interaction with video with online labs and simulations also becoming more prevalent. More wrap-around student support is also offered. For example Liverpool University’s online programmes offer their students a full support model including student support managers and a collaborative environment, while IT support and 24/7 student support is provided by a private provider. The University of London’s International Programmes online degrees offer extensive student support with support being ‘developmental’ enabling a range of competency and skill development in online spaces. Student feedback suggests that well designed environments in a predominantly asynchronous mode and the resultant student experience is comparable with a face to face encounter..
Other models of online learning veer more towards a more synchronous mode where the default is to replicate the coming together of students in the same space with a teacher or facilitator. One interesting example is that from Minerva University which offers virtual live synchronous classrooms as the predominant model with a platform custom designed to enable all students to see each other in one space digitally. In this approach, the focus of the students’ week is to arrive at the live classroom for the instruction and teaching. Students may have prepared using materials available asynchronously and will have activities following the live synchronous session, but their regular virtual attendance is crucial as part of the design. Sophisticated video conferences app tools such as live polling and embedded analytics are parts of the platform design, that give the tutor a real- time report of student performance including participation metrics. There were some useful discussions amongst participants about which types of online pedagogical approaches suited certain students and also an acknowledgement that there isn’t a straight dichotomy between the two approaches. The live virtual classroom mode seems to be increasingly feasible given improvements in bandwidth and may well overcome some of the issues around teacher and student presence that has been a concern of the more asynchronous distance education models. Yet issues such as global cohorts meeting together synchronously across different time zones is a challenge. In both models and the continuum in between, there is a potential for unbundled provision in the types of student support and in some cases in the teaching approaches online. The focus on student support in online spaces was a key theme of discussion highlighting concerns about high historical drop-out rates in online courses with a better appreciation of the different types of student support that works, ranging from academic, psychosocial, pastoral and skills (such as building students’ digital literacies). These forms of support are increasingly unbundled with responsibilities shared between academic teams and private providers, as well as the use of sophisticated analytics and machine learning for monitoring and assisting students at risk. 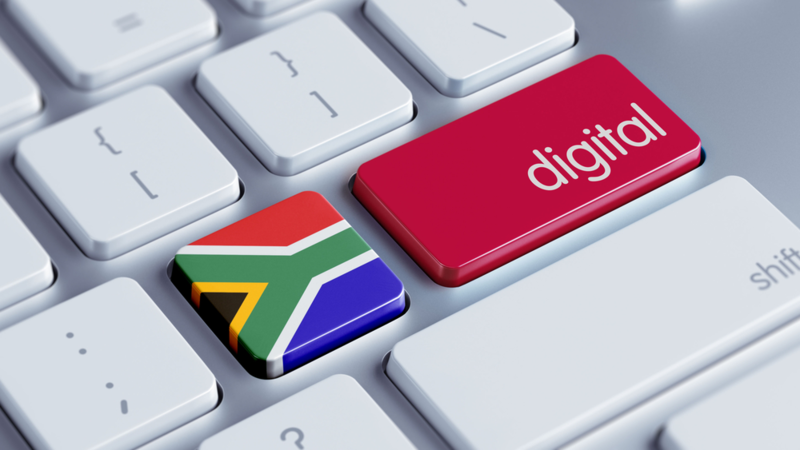 In terms of what is working (or might work) in South African Higher Education, a number of online learning models are in place although the sector for full formal online learning is very small with a handful of programmes currently on offer. Most of these are currently offered with private providers, and the nature of unbundling in terms of responsibilities of the academic institution and the private provider bears scrutiny. Our research is mapping which South African universities are providing credit-bearing qualifications, with what type of provider, and our interviews are shedding light on the types of business models. The discussions at the OBHE Forum brought up important issues of pedagogy, design and student support choices related to local contexts, and that these choices as to how to construct and design online learning experiences will impact on the nature of students’ learning experience and their success. Our research is also indicating that these choices are also influenced by different and competing reasons, such as desire for third stream income, ameliorating resource availability and capacity on campus, approaches from private providers or expanding access to currently underserved populations.